Bhubaneswar: Expressing grief over the death of former Prime Minister Atal Bihari Vajpayee, Odisha Chief Minister Naveen Patnaik on Thursday described him as ‘one of the tallest leaders of the country’. 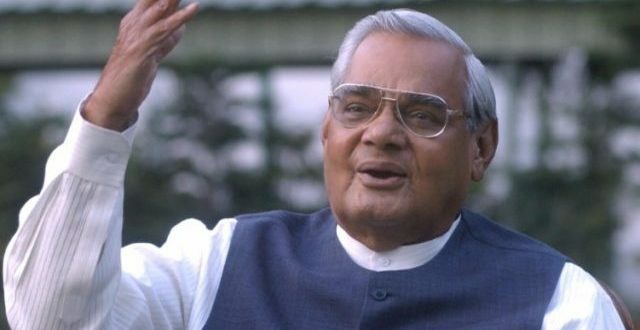 “I am deeply grieved by the sad demise of former Prime Minister Atal Bihari Vajpayee. He was one of the tallest leaders of the country. He was much loved by the people of India and more so by the people of Odisha,” said Patnaik after paying tribute to the departed soul at AIIMS, New Delhi. Ministers and several senior leaders of different political parties also expressed their grief at the demise of Vajpayee. “Former PM Atal Bihari Vajpayee’s sad demise has left a void in Indian politics that can’t be filled. He was a true statesman who believed in dialogue and engagement with everyone,” said Odisha Pradesh Congress Committee president Niranjan Patnaik.